Our company is your best bet for quick and reliable range repair in Nepean. So if your appliance won’t turn on for some reason, don’t panic and call us right away. Available throughout the Nepean area in Ontario, a qualified pro can be there to assist the very same day. With years of experience in oven range repair, the local technicians can diagnose and fix a wide range of issues. No matter how complex your problem is, you can expect nothing but the most efficient and long-lasting results! Appliance Repair Nepean is here to arrange the most comprehensive assistance whenever your range or oven fails to run. We know how crucial these appliances are to you. Without access to a well-operational unit, all your cooking plans can be thrown up in the air. But luckily, our company can resolve your concerns by sending out a skilled pro to your home at the earliest time possible. Each tech we partner with is capable of handling both electric and gas range repairs.With proper tools and parts in the service trucks, the Nepean range service experts can fix any issue on the spot. Here at our company, we always educate our customers about the importance of preventative maintenance. 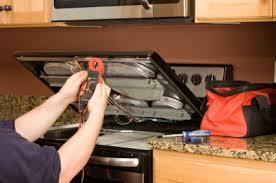 So if you want to leave all gas and electric range repairs behind, let us assist you with routine upkeep. By checking your unit at least once a year, the appliance tech will be able to remedy all problems before they cause a major harm. In case you are in the market for a brand new cooking appliance, turn to us for an electric or gas range installation. With an extensive expertise in the field, the local pros can easily set up any make and model. So if you want to make sure the job is done without a hitch, call us. Whatever your needs are, the Nepean range repair pros will meet them in the most effective manner!